A milestone event is beautifully honored by the graduation frame holding a photo of you. Our Personalized Congrats Class Of... 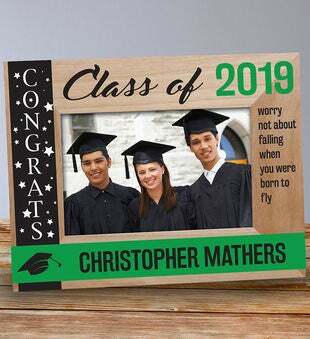 Wooden Picture Frame can be personalized with graduate year and any name. This makes for great gift, and great memories, for any graduate!